Federal Bank Recruitment 2017 for any degree graduates for the role of Officers/Clerk.The detailed eligibility criteria and application process are given in below. Candidates who completes / had completed Graduation with minimum 55% marks for Science discipline and minimum 50% marks for other streams during academic year 2016-17 in regular mode (completed and / or passed out in May / June 2017)from any recognized university or other institutions established by an Act of parliament or declared to be deemed as a University under Section 3 of U G C Act,1956. Clerk – Candidates shall not exceed 24 years as on 01.06.2017 (candidates should be born on or after 01.06.1993) for being eligible for the post of Clerk. Officer – Candidates shall not exceed 26 years as on 01.06.2017 (candidates should be born on or after 01.06.1991) for being eligible for the post of Officer. 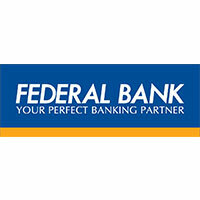 How to apply Federal Bank Recruitment?